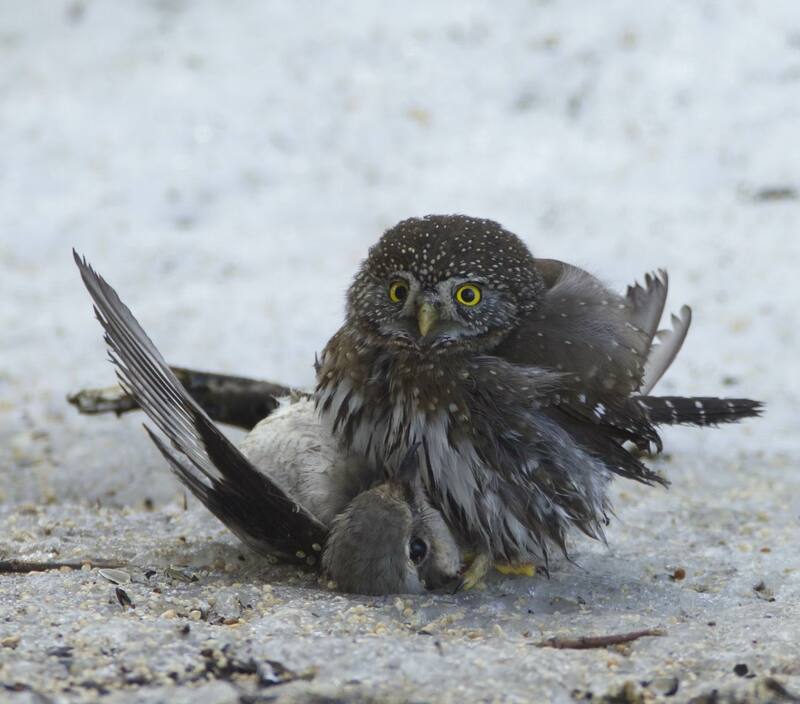 Thanks to the skills of Gary Sobchak, we have some incredible pictures of an attack by a Pygmy Owl on a Northern Shrike. 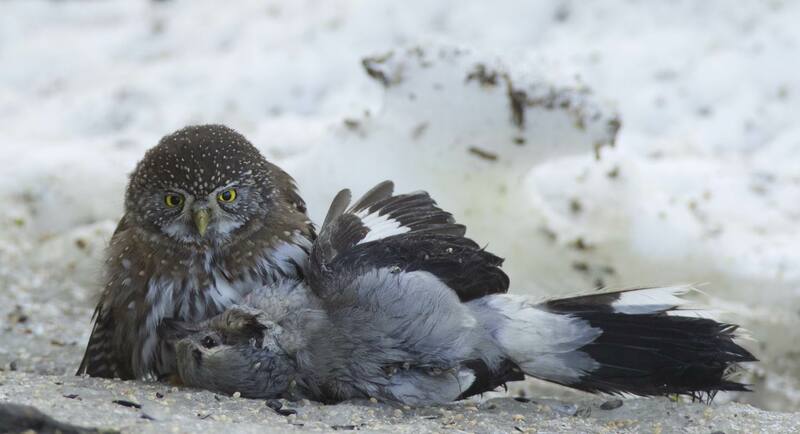 The Shrike did turn into dinner for the Owl. It happened Friday Jan. 30 at Meadow Rd. and Miller Cr. Many years may pass, before an event like this will be documented again. Well done, Gary! as shared by John Tschopp. The only thing more awesome than shrikes are smaller things that can dispatch shrikes! Do we know if this was a full-on attack or was the shrike first incapacitated in some way? Will reach out to John and Gary, Tim, and see if they can shed any light on the actual circumstances of the attack.